SENSATIONAL MOUNTAIN, CITY & BURRARD INLET VIEWS from this EXTRA LARGE 2 bedroom home in Bosa built Creekside. 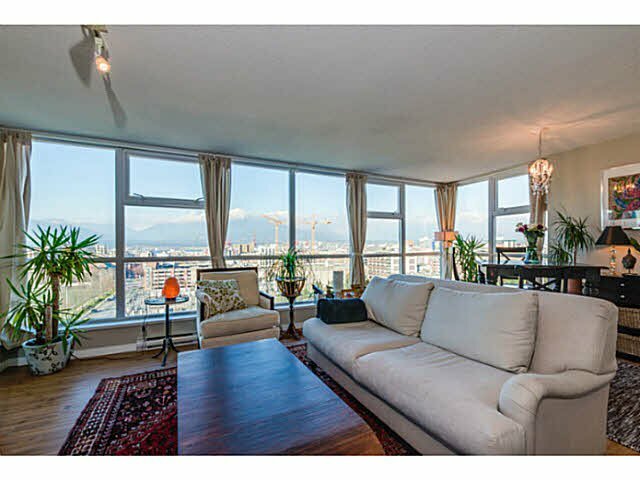 WATERFRONT living within steps of the seawall, Science World, Olympic Village & China Town. STRETCH OUT in over 1100 sqft of open concept living space. Cook up a storm in the spacious kitchen w/ stainless steel appliances & large breakfast bar - ideal for entertaining. Plenty of room for formal dining table & large furniture. Balcony w/ direct access off living room for Spring/Summer BBQs & morning coffee. Spacious bedrooms, large master ensuite bathroom, smart floor plan - no wasted space. Buy with confidence in an excellent building featuring large gym, sauna, steam, billiards, grassy courtyard & fantastic caretakers. BONUS 2 Parking & 1 storage included. Rental & pet friendly! Call today to view!